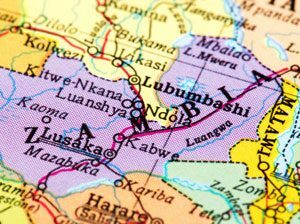 Midnight Sun Mining Corp. is focused on discovering copper and cobalt in Zambia. 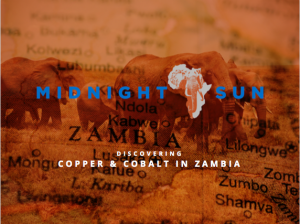 Controlling an impressive land package in the largest copper producing area in the world, and located directly adjacent to the largest copper mine in Africa, Midnight Sun boasts a number of target areas which have proven mineralization and exciting potential. 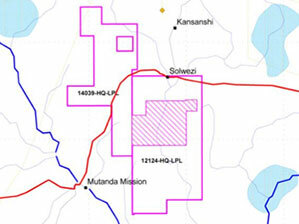 Vancouver, British Columbia, December 19, 2018 -- Midnight Sun Mining Corp. (the "Company" or "Midnight Sun") (TSX-V: MMA) has completed the final tranche of its previously announced non-brokered private placement by issuing 1,301,000 units (the "Units") at a price of $0.12 per Unit for gross proceeds of $156,120. Each Unit consists of one common share ("Common Share") in the capital of the Company and one Common Share purchase warrant ("Warrant"). Each Warrant entitles the holder to purchase one Common Share of the Company for a period of twelve months from closing, at an exercise price of $0.20.